One thing that's always made me uneasy (though not as much now as it did when I was young) was deep, underwater sections. There's something about being in dark, boundless water, far beneath the surface, that I found incredibly unnerving. It was even worse in games that featured the thread of drowning. 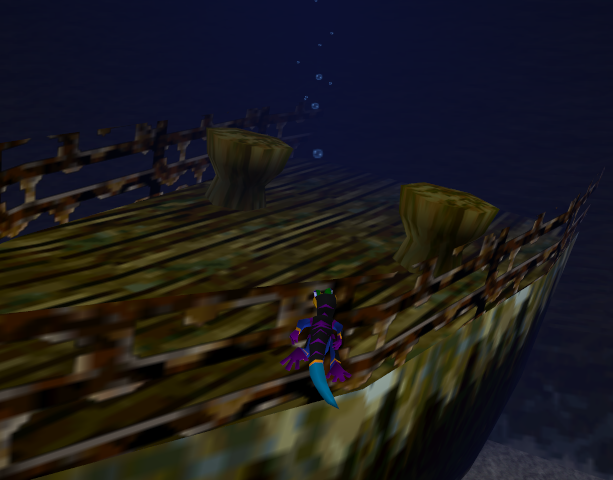 The Titanic stage from Gex 64 (pictured above) was a notable example, made all the worse by the game's horrendously-close draw distance that made the undersea look suffocatingly dark, and the fact that the stage used the same creepy music that plays in the horror-themed levels. Jolly Roger's Lagoon in Banjo-Tooie was another underwater stage that creeped me out. Things that can crush you are another thing that always got me, particularly in games where crushing is an instant kill regardless of any health or protection you may have. The compressors in the Mecha Castle of Yoshi's Story were a memorable example from my childhood, as were the numerous crushers that appeared throughout the Genesis-era Sonic the Hedgehog games. Knowing I'd have to pass through them would always put me in a panic. Re: Things in video games that always unnerve/scare you. I got that SAME EXACT feel In Gex: Enter the Gecko too. Arachnids... in any and every game, forever. As soon as I realise that they're ahead and I have to pass them or defeat them, my heart starts beating out an SOS!! ReDeads, too, of course. 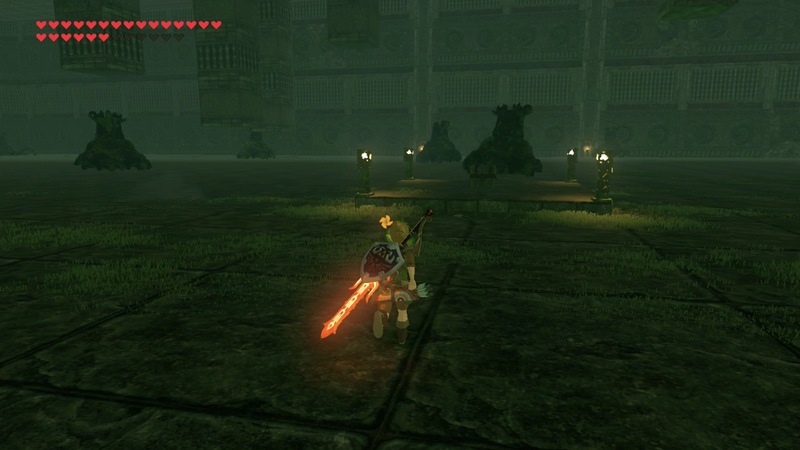 Ever since they sucked on Link's brains, I'm terrified of them. Sewer levels in 3D games generally unnerve me. Stuff like Bottom of the Well or the Depths. I say 3D because I find grittiness/filth is better conveyed. Maybe this is because I've been playing a good chunk of Breath of the Wild lately, but something that always spooks me is when ancient things come to life. It's really just the very act of them waking up and making that first initial move, when before they were just lifeless. If it's unexpected, it's even worse...but even if it's expected, it still makes me jump. I knew exactly what would happen when I opened that treasure chest, and it still spooked me. The level in Donkey Kong Country 2 where King Zing rushes in out of nowhere creeped the hell out of me when I was a kid. (Frankly, DKC2 has lots of unsettling stuff in it). I only got over it with exposure therapy as an adult. Had to memorize the exact point where he appeared and brace for the shock. I haven't played it in years, and I can still tell where it is. I once jump-scared my cousin when he was playing the level. I won't do it again, I promise. put a bunch of random SA-X encounters over the map after Adam tells you that there's over ten SA-X roaming the station. Scenes like this, where you'd suddenly find yourself being chased by an invincible foe or obstacle, always sent me into a panic. 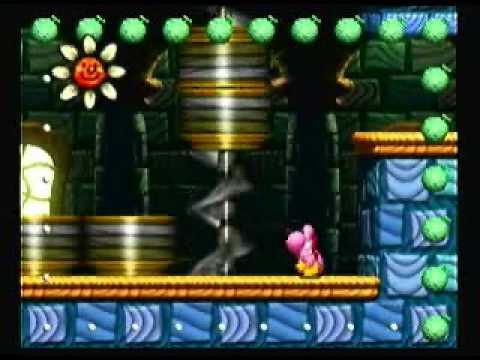 The millstone Gnawties from the first DKC, the lava flows from Marble Zone Act 2 in Sonic the Hedgehog, the Tyrannosaurs from the SNES Jurassic Park game, and the giant Chomps from Yoshi's Island are all examples from my childhood that come to mind. I think DKC3 had at least three levels with this theme, too. DKC3 was possibly even more unsettling than 2. Seriously, lightning crashing in and randomly killing you? I specifically remember Riverside Race (where you get chased by a swarm of bees), Ripsaw Rage (where you ascend a tree that's somehow being cut in half vertically by a giant saw), and Krack Shot Kroc (where you're constantly in the crosshairs of an unseen, cannon-wielding foe) all filled me with anxiety as a kid. I rarely get that same feeling as an adult, but one exception was Muncher Marathon in Donkey Kong Country Returns where you're being pursued by a swarm of squirming, freshly-hatched baby spiders seriously Retro what the ****. I don't handle the threat of jump scares very well, especially if they're presented as something (double especially something unknown) following me. It's bad enough that, when I got to that kind of scene in Firewatch and it was real-world nighttime, I stopped playing until the next morning. Firewatch is not a horror game. Firewatch sounds thoroughly enjoyable. I'm not a horror fan either. The first two Magic School Bus PC games have some... really unnerving scenes. The first game I played (the oddball in the series, I guess) was the Human Body. That one was... https://www.youtube.com/watch?v=GFlCxPRxFrI&t <--- yeah. The unnerving music, weird subject matter, and the fact that there was so much weird 90s stuff around. Good lord. It had a pretty weird atmosphere to it. The Solar System game, not as much - aside from this one part where if you clicked on the globe, you would see some... weird surreal art. THAT was just plain freaky.